Valentine’s Day is just a couple of weeks away now and before you know it, the big day will be at your doorstep. Of course, there are those among us who feel that every day is a celebration of love. We completely concur with that idea. But why miss out on another special opportunity that allows you to rekindle your passionate love while the rest of the world gets tangled in a web of scarlet hearts and fanciful flowers? It is the perfect opportunity to take a break from the mundane and let flames fly one more time. 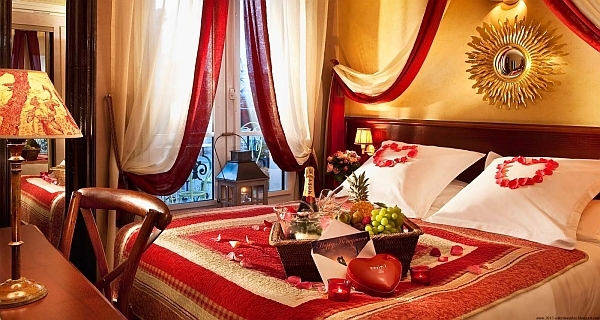 And what better place for a magical culmination of the Valentine’s Day celebrations than a dreamy, romantic bedroom?! This is the ideal time to switch from functional lighting to dim, recessed lights. 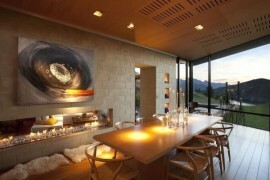 Lighting plays arguably the most important role in determining the mood of a room and the vibe it exudes. 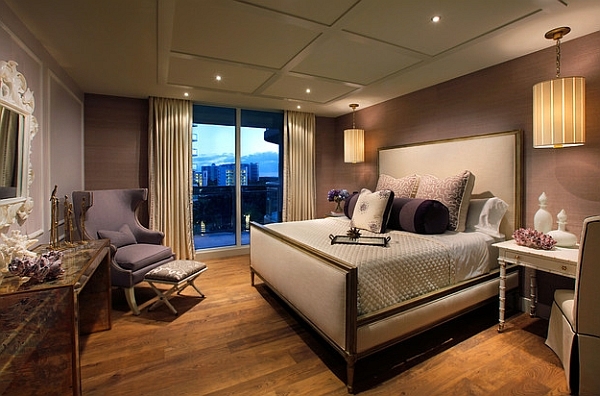 When creating a romantic bedroom, think of it as playing with light and shadows. 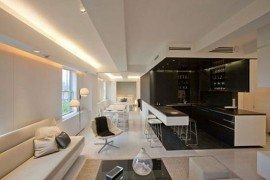 If you already have automated lighting that can switch between pre-programmed moods with ease, then there is little trouble here. 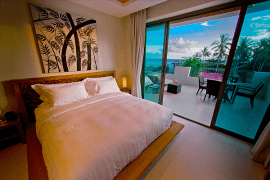 If your bedroom is not blessed with the technology, then just take out the focused lighting and turn towards other options for soothing ambient illumination. Is it a part of decorating? Absolutely yes! 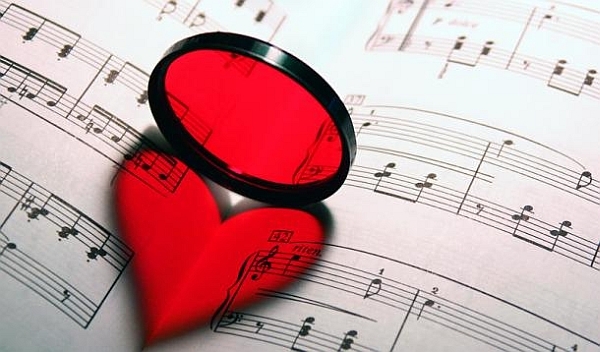 A hint of music in the air will surely make the moment even more special. Just as in the case of fragrance, this is another time when you dip into the memory bank and pick out that one special tune or song you love. Do not worry too much about the cheesy stereotypes or limit yourself to music that you never cared for in particular. If you, as a couple, love hard rock, then go for it. (But remember the phrase ‘as a couple’ guys.) Both fragrance and sound make the visual picture even more special. The colors seem bolder, the setting more romantic and the moment more memorable! This next tip doesn’t sound all that romantic, does it? But removing the clutter that surrounds you is not only a prudent interior design tip for every occasion, it is particularly apt when trying to set a beautiful backdrop. No one wants to walk into a bedroom that’s filled with a whole lot of rubbish and decor that is placed in a random fashion. In fact, there are some girls who might put your idea of a big celebration on hold and get to cleaning up first (Trust us, it happens)! A well-organized room that only sports things you absolutely need is the perfect backdrop. Imagine it as a painting taking shape; no one starts off with a dirty canvas! 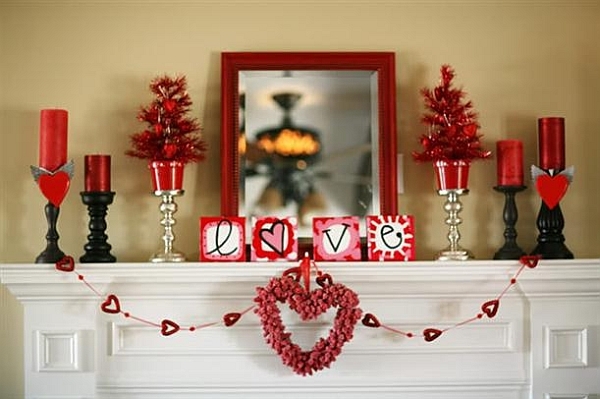 Valentine’s Day and the weeks leading up to it will allow you to shop very easily for plenty of decor items that come in vivacious red. 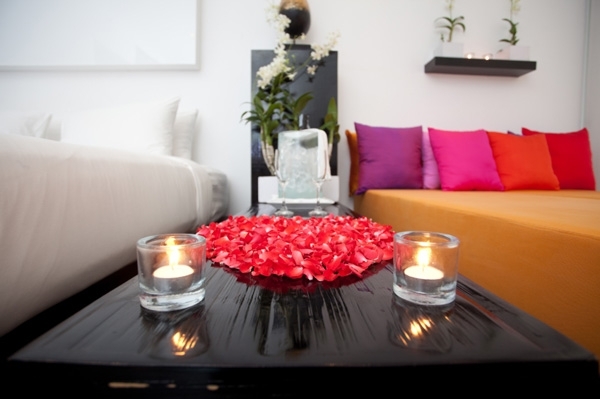 This is a good opportunity to introduce the fiery shade in a subtle fashion in the bedroom. It need not be an expensive purchase and a permanent addition. 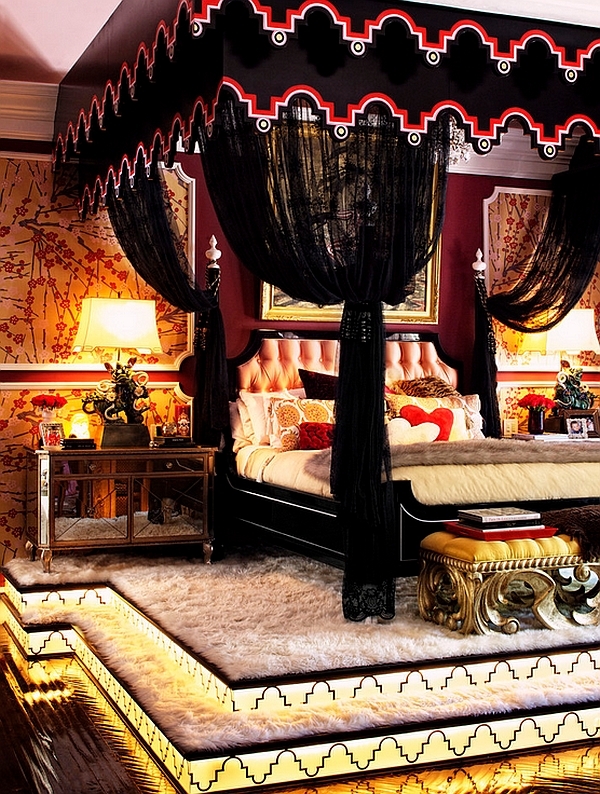 A pashmina throw, a few pillow covers in silk or even some lovely drapes in red will do. Red has always been viewed as a color of passion and romance, and if you are not interested in anything else, just bring home some heart-shaped balloons, at the very least. 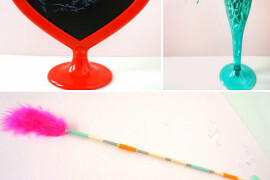 While red is the popular choice, here are two other shades that fit in perfectly with the V-Day theme. Purple is the color of royalty, opulence and indulgence. Couple it with warm gold and you have a sensuous combination that will pave the way to an amazing night! 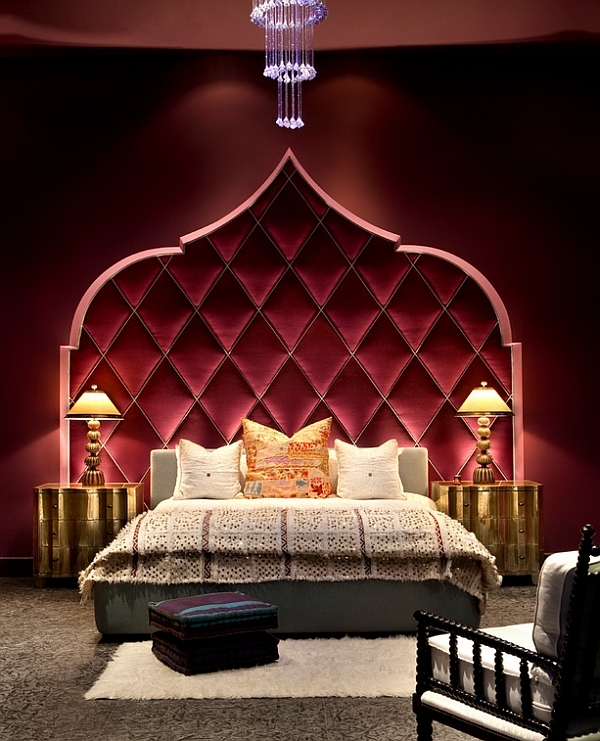 Both purple and gold are also trendy hues and currently being touted as part of the hottest colors for 2014. So, this little bit of redecorating could well be persisted for a few more months after the big day. Instead of pondering repainting, just change the duvets, pillow covers and rug to opt for a more economically sensible makeover. Drape your bedroom in fabric that evokes lavishness and snug comfort. Both satin and silk bedding options are pretty popular in this regard. While they might be a touch expensive, you will soon realize that it is well worth the dough. If you are not looking for such high-end sheets and pillow covers, then take the classic approach with white cotton. This is a bedroom look that simply never fails. The greater the thread count and more pure the cotton fabric, the more it will pamper your senses. Once again, try to find that elusive balance between how much you can spend and the affluence you crave. With the sheets out of the way, we get to the bed itself. A large bed is a good option, but if you are looking to commit to a more innovative design, there’s nothing like a round bed to truly alter the appeal of a bedroom. 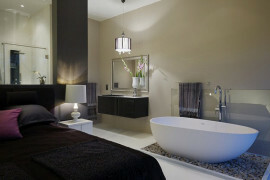 Round beds not only look chic, they also add geometric contrast to a room dominated by simple, straight lines. 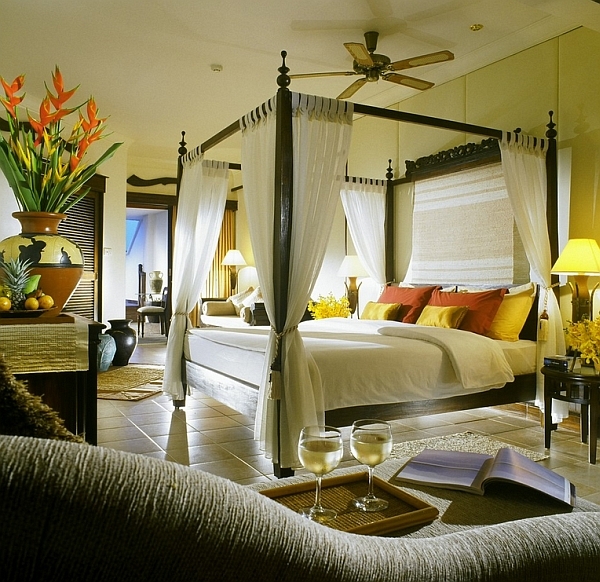 Now could also be the opportune moment to switch over to the four-poster or canopy bed. These beds come with removable tops, allowing you to switch back to the ‘normal mode’ with ease. 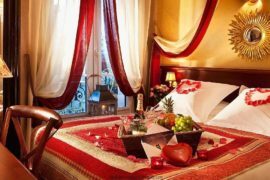 Wish to turn up the up heat for this Valentine’s Day by going all the way with an “over the top” bedroom that sweeps your valentine off of his/her feet? The Hollywood Regency approach is a good template for this. This expansive style does require a bit of extra effort, but the results speak for themselves. 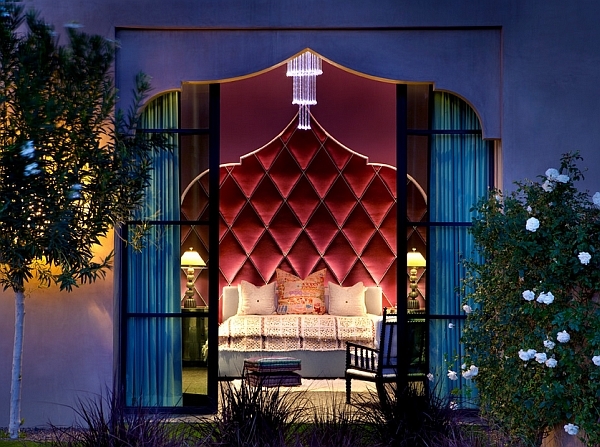 Start with changing the drapes and adding curtains that come with a little heart or cupid motif. Add a mirror or two to truly usher in the cinematic look, while plush rugs in white, a grand chandelier and elegantly arranged vases of flowers put the icing on the cake. We do live in a highly commercial environment, and we’ve gotten to a point where we are often too lazy to even place an order on Amazon or eBay! A future with buildings crafted by 3D printers and robots that do household chores isn’t really helping in the motivation department either. But this weekend, get off of the couch and craft something that will put a smile on the face of your lover. 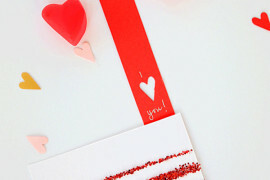 Check out these Valentine’s DIY ideas and get started with a project, even if you never dabbled in one before. Again, think simple. The idea is to show that you care–it’s not a test of your DIY skills. Framing your old wedding invite, a few chocolate hearts on the wall or even a CD with her favorite songs neatly placed on the bedside table… Often, the best ideas are the simplest ones! 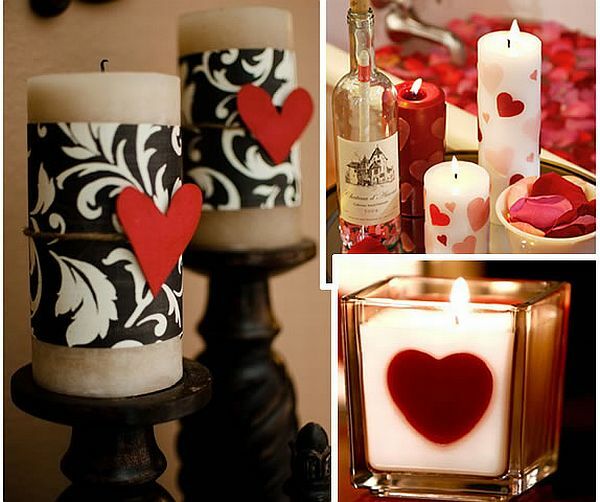 25 Valentine’s Day Bedroom Decorating Ideas: Only the Best for your Beloved!